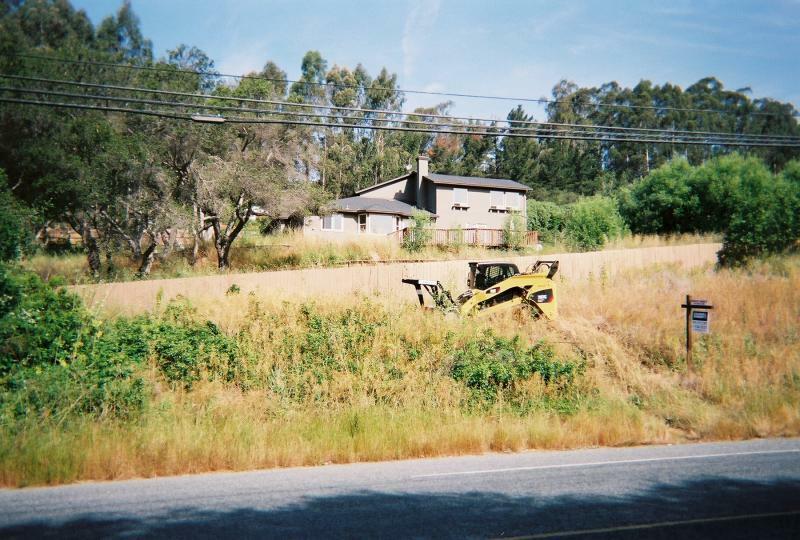 Brush clearing is performed using either a "Bobcat" or excavator mounted flail mower or mulcher. Our machines are mounted on rubber tracks which provides low ground pressure for sensitive areas and are inherently stable and suitable for working on slopes. 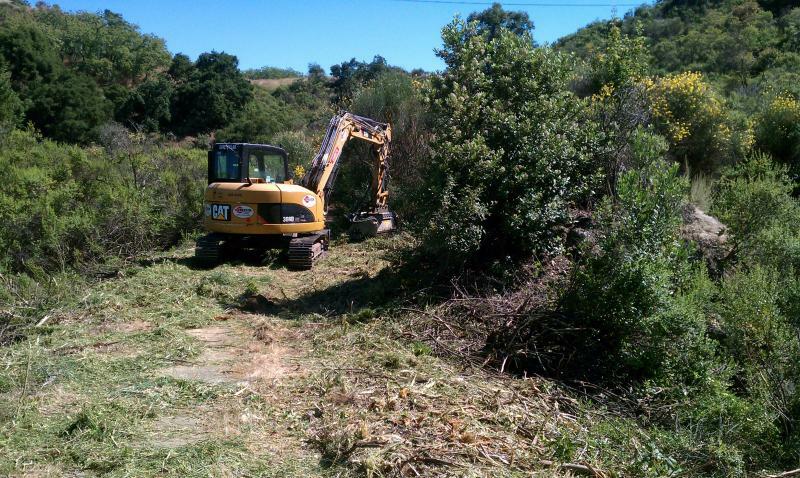 Applications include: Clearing lots, storm debris, right-of-ways, recreational trails, golf courses, cutting fire breaks, fire fuel reduction, etc. The brush mulching attachment has the ability to cut brush with stalks up to 4 inches in diameter (Manzanita, Scrub Oak, Scotch Broom, Poison Oak, etc.). Brush mulching is environmentally friendly since brush is reduced to a coarse mulch which remains in place and helps reduce erosion. Mulching also reduces the amount of labor involved which means fewer people on your property and lower cost than conventional methods. 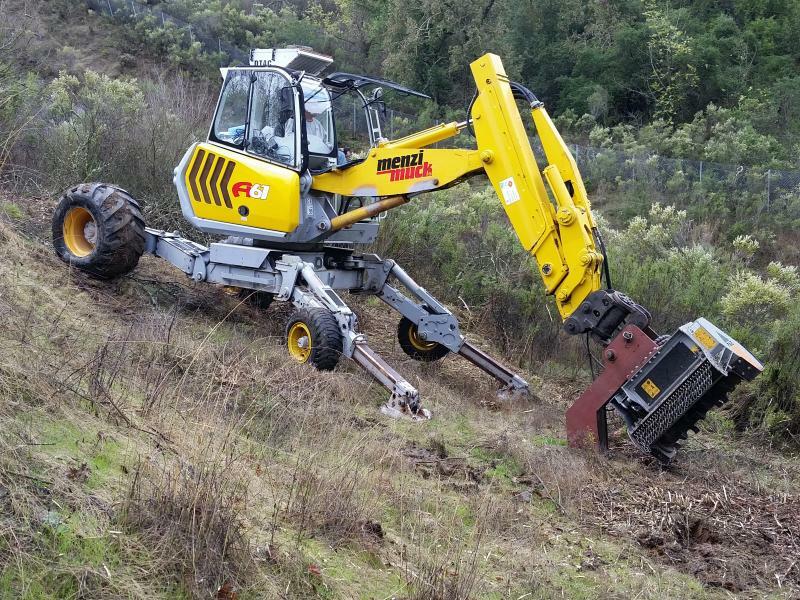 The Menzi Muck Excavator is capable of working on steep slopes or rough terrain more efficiently than any conventional machine.